It is with great sadness that we report that Professor Alberto Mendelzon passed away on June 16, 2005, after a two year struggle with the illness that finally took his life. Alberto, originally from Argentina, received his Ph.D. from Princeton in 1979 and joined the University of Toronto in 1980. Alberto was an international leader in database theory. His work was inspired by the intriguing problems that lie at the heart of understanding how data can be modeled, managed, and queried in computer systems. He established fundamental and influential results in the theory of data management with many applications that only came decades later. For example, his work provided the basis for languages used to search the web. The volume of these applications is a testament to the truly foundational nature of his research. He was one of our most prolific researchers, who published some 110 refereed articles in journals, conference proceedings and books. He supervised 31 M.Sc. students and 17 Ph.D. students. The volume of research funding he brought to the University is impressive. He also served the database research community by editing journals, organizing conferences, and in many other ways. 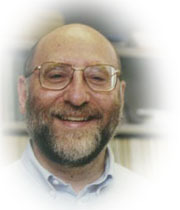 In 2003, Alberto became the first Chair of the then newly created Department of Computer and Mathematical Sciences at UTSC, a position he had to resign from only a few months later due to the onslaught of his illness. This did not slow down his research productivity or teaching, he kept up the pace of his work until the very last days.